Tooth discoloration is one of the most common cosmetic dental problems. This condition may affect a single tooth or multiple teeth, and stains may be yellow, brown, or grey in color. Other patients may have white splotches on the teeth. These types of tooth discoloration are caused by different factors, and require different treatment options. In this blog post, Dr. Jessica Emery educates patients about extrinsic vs. intrinsic tooth discoloration, as well as effective treatments available at our Chicago practice. Teeth whitening is the most common treatment for tooth discoloration, but we may also use porcelain veneers, cosmetic dental bonding, or dental crowns to mask tooth discoloration. To seek treatment for your tooth discoloration, contact Sugar Fix Dental Loft today. Extrinsic tooth discoloration is by far the most common type of tooth discoloration that affects patients. It is also the easiest to treat. These stains are typically yellow or brown in color, and they affect the surface of the teeth, the tooth enamel. Extrinsic tooth discoloration is caused by exposure to certain foods and drinks, as well as tobacco products. Generally, any dark-colored food or drink can result in extrinsic stains. Coffee, dark teas, red wine, grape juice, and cranberry juice are common stain-causing drinks. Blueberries, blackberries, cherries, pomegranates, soy sauce, and tomato sauce are some of the foods that can result in extrinsic stains. To prevent extrinsic stains, patients may limit consumption of foods and drinks that stain the teeth. When consuming these items, be sure to rinse out your mouth with water to remove the pigmented molecules from the teeth. Patients should also avoid use of tobacco products. Extrinsic tooth discoloration can be treated with tooth whitening. 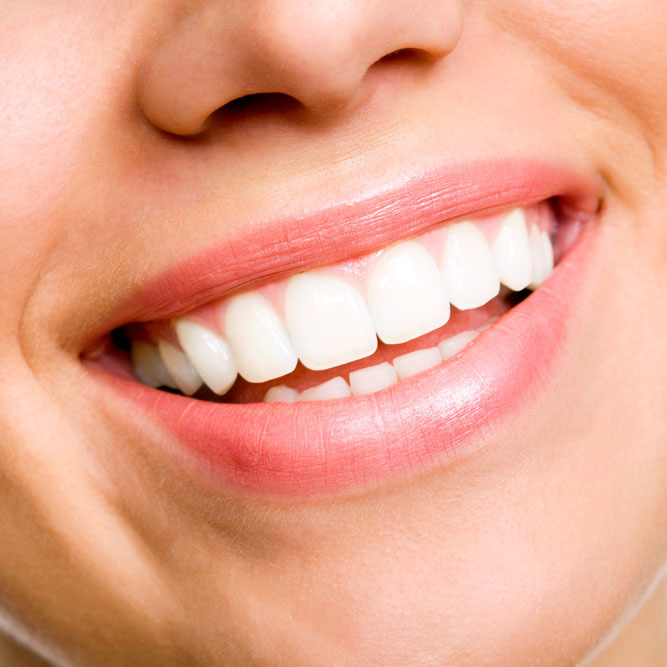 This procedure lifts stains from tooth enamel, restoring a bright, white color to the teeth. Certain medications: Antihistamines, antidepressants and high blood pressure drugs can discolor teeth. The use of tetracycline may also cause tooth discoloration that is grey in color. Fluorosis: Fluorosis, or the excessive use of fluoride in childhood, can result in white splotches on the teeth. Trauma or root canal treatment: Injury or tooth decay that damages the tooth’s nerve can cause tooth discoloration. In many cases, only one tooth is affected, and the tooth turns a brown color that contrasts with surrounding teeth. Although teeth whitening may improve the appearance of some intrinsic stains, a fabrication that masks the tooth is typically the treatment of choice. Porcelain veneers and cosmetic dental bonding can be used to mask stains that affect one or several teeth. These treatments are ideal for patients with good oral health. Dental crowns can also be used to hide dental imperfections. This treatment option is ideal for patients who have tooth discoloration, in addition to the need for tooth restoration. To schedule a consultation at our practice, contact Sugar Fix Dental Loft today.